While sorting out the business of turning this dream into a real business, Gadora needed work. While it’s been rewarding in a million other ways, the steady work has kept the reality of Gadora at bay. I’ve since managed to cruise by my ideal locale, and for months it appeared the same. Whew. There. Is. Still. Time! Then a few months ago I noticed a change. A transformation was starting to take shape. d@m^!T, how could this be? They had the pergola. Their green was in the same family. There was still no signage, but they were clearly on a mission. I was working Wednesday when I got the photo. The BFF explained I was NEVER GONNA BELIEVE how similarly the building had been transformed into my original vision. D@m^!T, D@M^!T!! 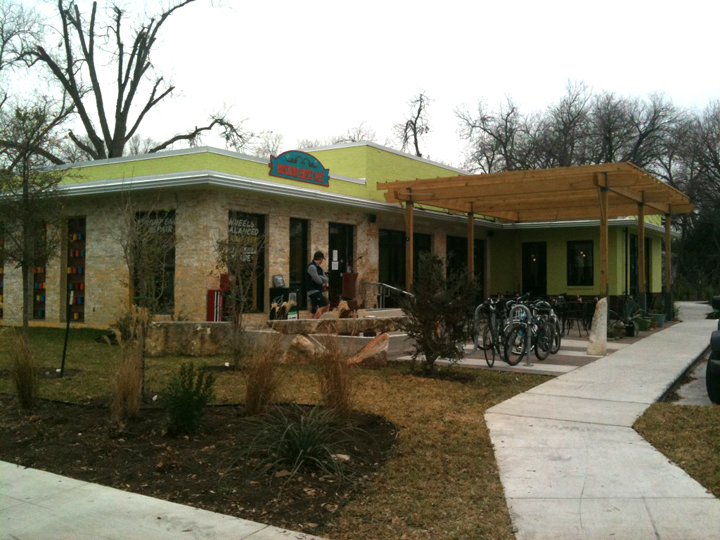 It’s now the home of Bouldin Creek—a once dirty little coffee shop further down the road. They were sure keeping Austin weird. 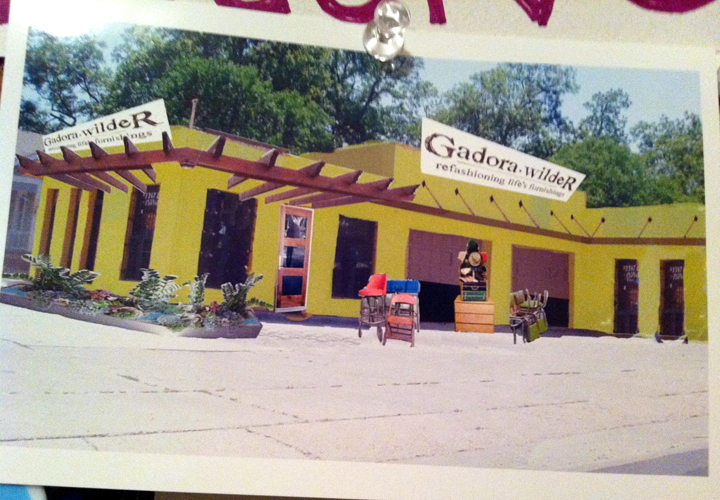 And while I can take zero credit for what Bouldin Creek has turned that corner into, I’d like to think the vibes Gadora set free into the Universe found their way onto some brilliant Architects’ shoulder. It’s just so smartly done. 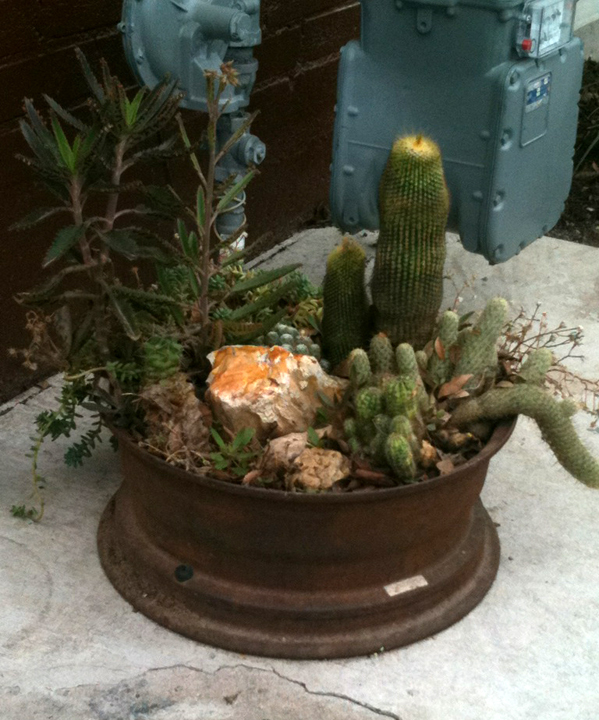 I love their use of an old rusty rim for a succulent garden. Love! Why didn’t I think of that? And I hear besides the fancy tatooed baristas and haute hippie menu—worth its weight in tofu—there’s a bicycle repair shop on the premises. See? I knew the space could be commingled creatively. 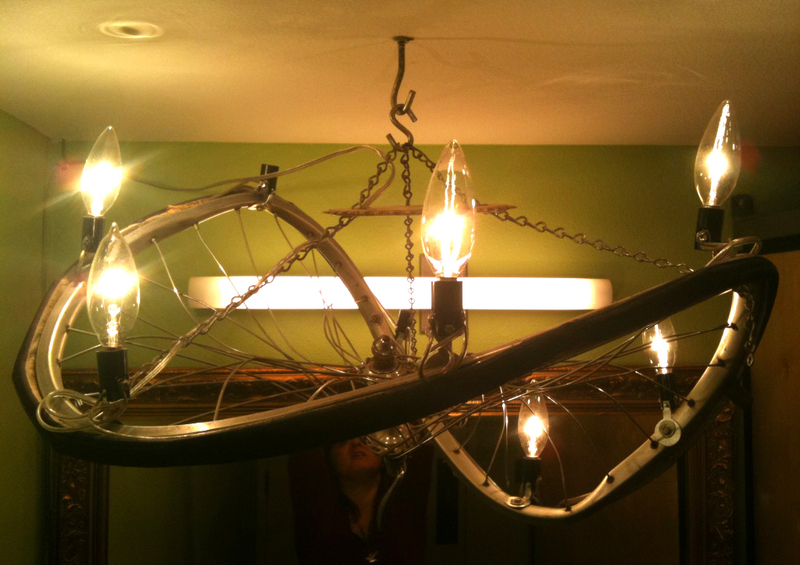 Knowing my inexplicable love for bathroom design, the BFF snapped this bicycle chandelier from the Diva’s room. I’m kind of speechless. About the whole thing. I’m utterly sad it wasn’t Gadora making that corner happen. But, Bouldin Creek seems to have truly done a job I’m (moderately) ok stepping aside for. I cannot wait to stroll up to the place, and rather than press my nose to the now shiny windows… walk myself inside. 78704 ~ A grass roots website operated by two South Austinites with a mission to promote the eclectic mix of hip, trendy and unique privately owned shops, entertainment venues and restaurants located inside the zero-four boundaries. 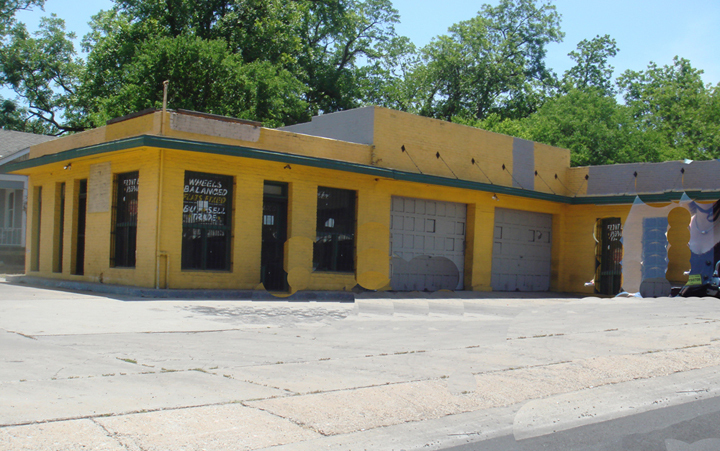 Posted on January 7, 2011 July 1, 2012 by gadorawilderPosted in BEFORE & AFTERTagged Architecture, Austin Texas, Furniture, mid-century modern, Texas. Great blog! I feel your pain and am sorry it didn’t happen for Gadora at that locale. Don’t give up your dreams and visions!